And 4 tablespoons vegetable oil. 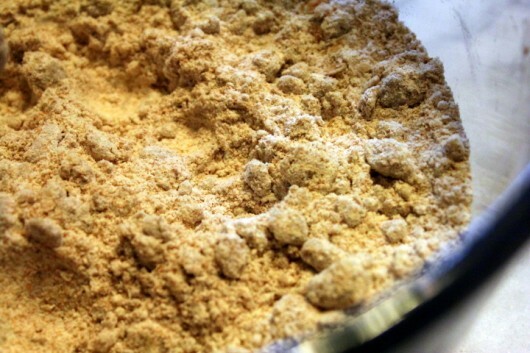 Use your impeccably clean fingers to blend the flour and oil together until the mixture resembles the coarse crumbs, as above. This will take all of 30 seconds. 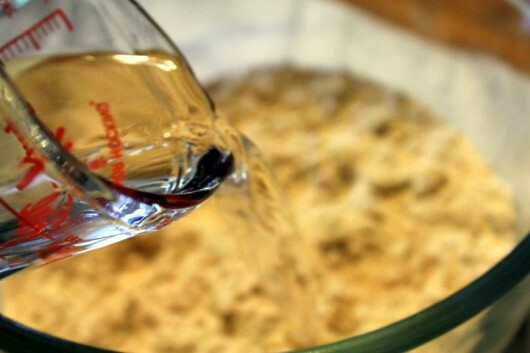 Then add just enough water to make a firm dough. In summer, when the humidity is high, my paratha dough requires about 2/3 cup of water. In winter, when my haunted, 188-year-old house is bone-dry, the dough begs for 3/4 cup of water. 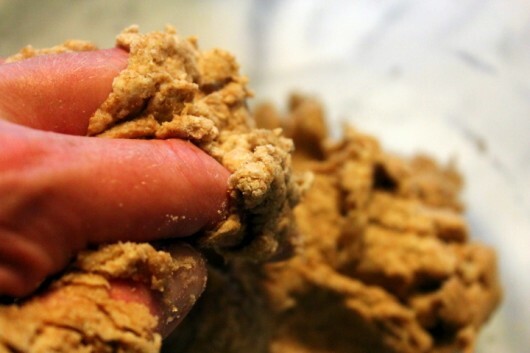 Mix the squishy dough with your hands, just until it comes together. 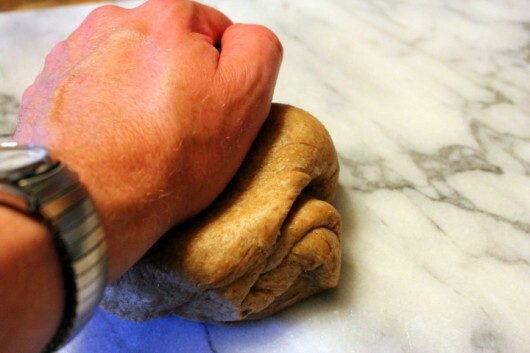 And then roll up your sleeves, turn the dough onto your work surface, and knead it for 3 minutes. As you can see, I did not roll up my sleeves. But you should. 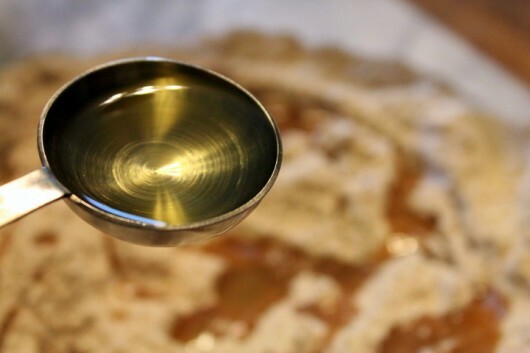 Return the dough to the mixing bowl, and coat it with a little vegetable oil. 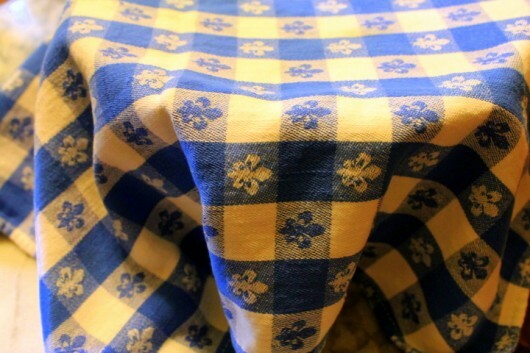 Then cover the bowl with a blue and white kitchen towel, and it rest for at least 15 minutes (or up to 30 minutes). After the dough has finished its nap, knead it for 30 seconds. 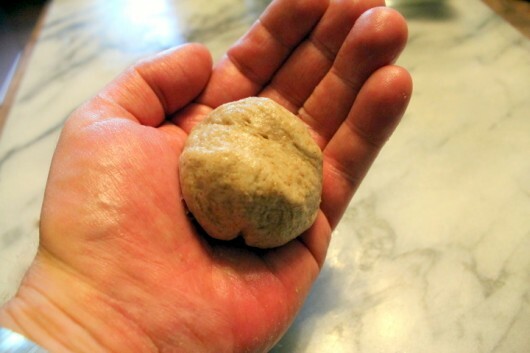 Tear off an egg-size clump of dough, and then roll it, between your palms, into a ball. And lightly coat both sides of the disk in whole wheat flour. Roll the disk into a 6-inch diameter circle. Repeat the previous 4 steps for the remaining segments of dough. And top it with the seasonings of your choice. I seasoned mine with black pepper and ground cumin — one small pinch of each. Drop the disk, oiled-side-down, onto a hot (not greased!) cast-iron skillet. And then flip the bread over. Cook this side until spotty brown — 30 seconds or less. Keep the breads warm in a kitchen towel. Serve with the dips/spreads/veggies I mentioned in the above video, and more. Still hungry? Hungry still? Get my email updates. One of the oldest and most delicious flat breads in the world. Enjoy it with curried veggies, meats, and all kinds of dips and spreads. 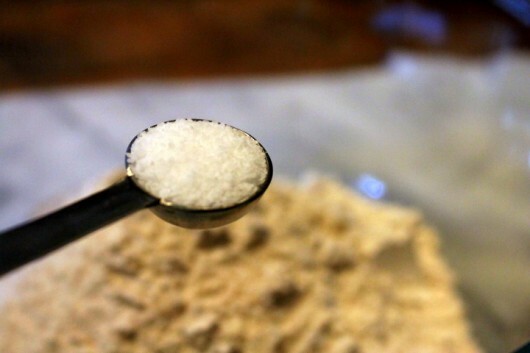 Put the flour, salt, and oil in a mixing bowl. 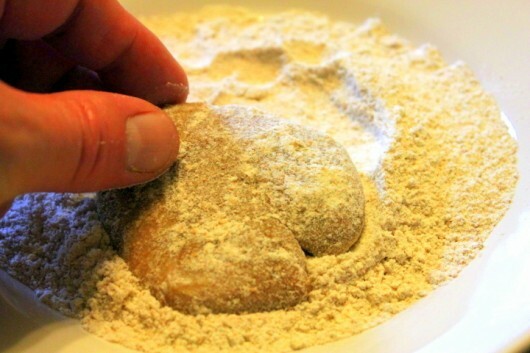 Use your fingers to blend the oil into the flour — it should resemble coarse crumbs.Then add just enough water to produce a firm but workable dough -- usually 3/4 cup. 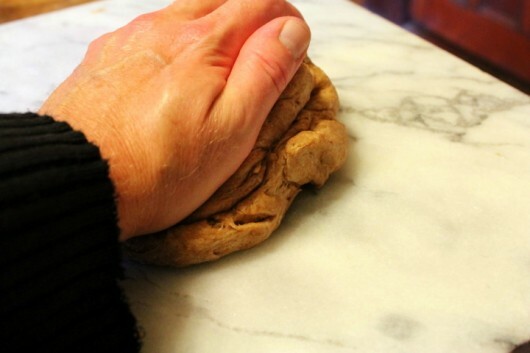 Roughly mix the dough with your hands, and then pour it onto your work surface. Knead for 3 minutes. Return the dough to the mixing bowl, coat it with a little vegetable oil, and then cover the bowl with a kitchen towel. Let rest for 15 minutes, or for up to 30 minutes. After the dough has rested, knead it for 30 seconds. 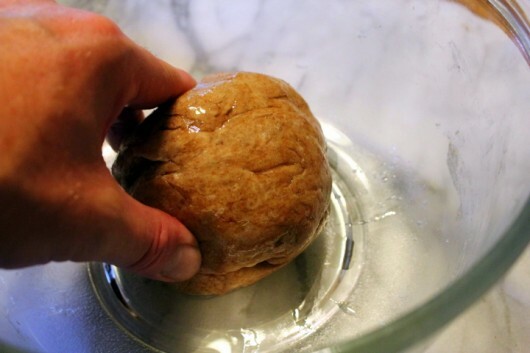 Then tear off an egg-size piece of dough, and roll it between your palms to form a ball. Then flatten the ball into a disk. 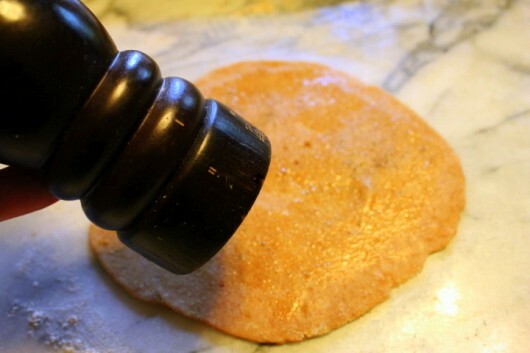 Gently press the disk into a plate of whole wheat flour, and then flip it over to coat the other side. 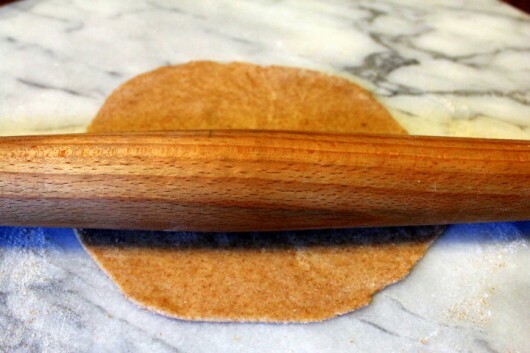 Using a rolling pin, roll each disk into a 6-inch-diameter circle. Heat a dry skillet over medium heat until hot. 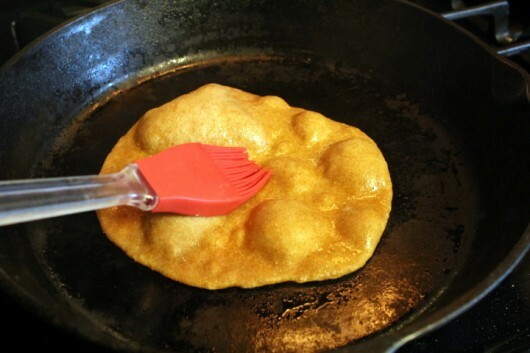 Brush one side of the paratha with a little oil. Season, if you wish, with the herbs or seasonings of your choice. 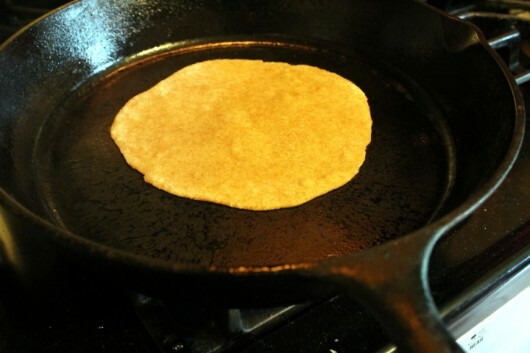 Place the paratha oiled-side-down on the hot skillet. When the bread starts to puff here and there — after about 5 seconds — brush the top with a little oil, and then flip the bread over. Let cook for about 30 seconds, or until spotty-brown. Transfer the finished bread to the tea towel, folding the towel over to keep the bread warm. Oil, season, and cook the remaining disks of dough, transferring each to the tea towel when finished. Enjoy while the bread is warm. These look delicious and very simple to make! 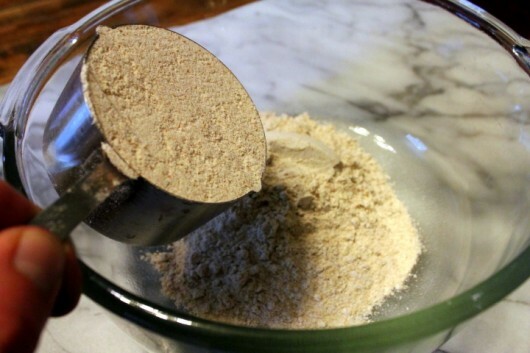 I have some whole wheat flour in my pantry; I will make this later today for dinner. I noticed that the video was titled episode 40. Have you really made forty videos? Congratulations! Hi Jerry – Yes, 40 videos! If you try this Paratha, I hope you’ll send a review. may we have the recipe for the tzatziki sauce and the chicken? It looked divine and I cannot wait to make the recipe. Avery Elizabeth Ophelia is gorgeous! Hi Kevin: Avery Ophelia Elizabeth is beautiful! I don’t usually bake bread, but this is simple enough to give it a try. I would love to do a chicken salad wrap. Also, You’re hair looks very good! Looks delicious, Kevin. I’m going to copy the recipe and tuck it into your cookbook. Hi kjs – Thanks so much! 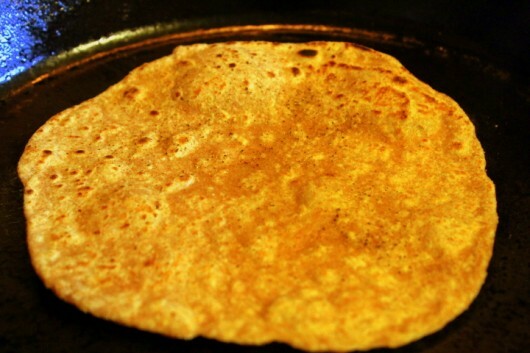 Hi John – If you make this Paratha, let me know how it turns out for you! Whaddya think about using half all purpose white flour? Wow, you must have ESP! I’ve been on a flatbread making kick for a week. I want to try your whole wheat version. Can’t wait to try. Is it considered “low cal.”? I have a question for you, When you use kosher salt what brand do you use? I ask this because there is a real difference between Morton and Diamond Kosher salts. Could you clarify this for me? I enjoyed the Paratha bread video. 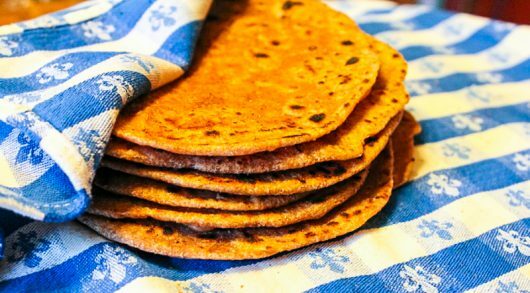 I first tried Paratha bread as a young girl, when my dad took my family out to eat to a Indian restaurant. I have been hooked on Indian food and Paratha bread, ever since. 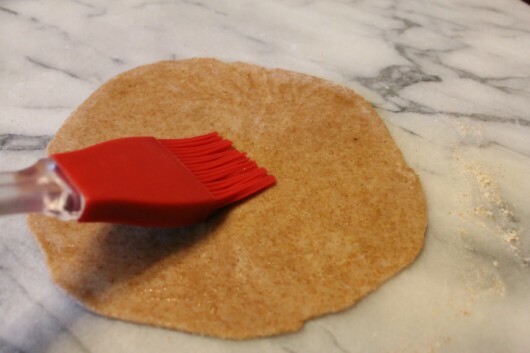 Hi Kath – I’ve tried this recipe using equal parts whole wheat and all-purpose flour. Works out fine! Hi Marie – I used Morton’s coarse kosher salt. Thank yo so very much!! I have never made flat bread, although I make loaf breads – plain sandwich types, savory and tea breads – all the time. Now I must try this! I have a wonderful cheddar cheese loaf bread I make frequently by family request (they devour it promptly). But if you have an interesting cheese bread recipe, please do share it sometime! As always, I love your videos. Thank you so much for them. Thanks Kevin for the great video. This looks fun and easy enough to try. We love Indian food as well and drove 45 minutes into town yesterday to our favorite Indian restaurant. i really like the way you showcase tasty do-able recipes. Hi Kevin! I love your videos and all. I would like to see your take on blintzes, both meat and cheese, please. Hi Wyva – So glad you mentioned Gulab Jammun. It’s one of my favorite desserts! Hi Gail – Thanks for the blintz idea. I’ll put both the meat and cheese types on my video list. Made these two nights ago and have been eating them since. They heat up nice wrapped in foil. I’ll finish them off tonight accompanying a nice curried sweet potato and lentil stew. I’ll be making them again. Thanks. Hi Terry Snyder — I’m so happy the Paratha worked out for you! Curried sweet potato and lentil stew…Mmmm. I love Naan. Can you tell me the difference? How about a Chinese cooking video? You make everything look so easy. Thank you!! Hi Marsha – Naan is a deliciously-airy bread made with yeast. Click here to see my step-by-step recipe. I am a relatively new subscriber, and I am enjoying your cooking tips, as well as your gardening tips, very much!! Hi Candace – Welcome aboard! If you search the bread category on this site (click here), you’ll find lots of loaves (and naan, too) that are made without any whole wheat flour. Some are yeast breads, some are quick breads (no yeast; no rise-time) and all are delicious! Hi Kevin looks yummy and easy, thanks! 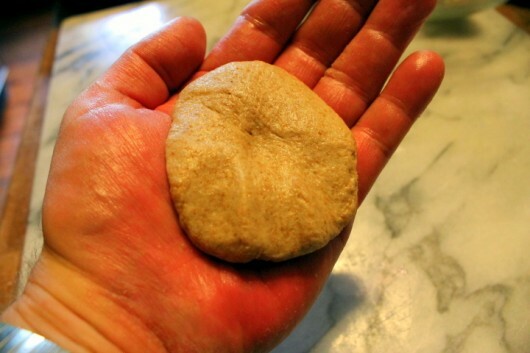 I’m wondering…didn’t you post a flat bread recipe ( years ago) with garbanzo flour? Can you bring that up again? Bought the flour, never made the bread. Thank you! I have tried flatbreads in the oven. stovetop looks easier. would tapioca flour work? Again, thanks for a stove-top recipe! Appreciate it! I made your snowshoe naan, and it turned out great. I hope you’ll feature more Indian recipes. My suggestion(s): puri, samosas, and kulfi. Also, not Indian, but knishes. Hi Janet – Tapioca flour won’t work for Paratha. Sorry ’bout that! Hi Anita – Glad you mentioned Knishes. I’ve loved ’em since my NYC days! This way you will speed up the paratha-making process and get to enjoy the entire stack of parathas hot. 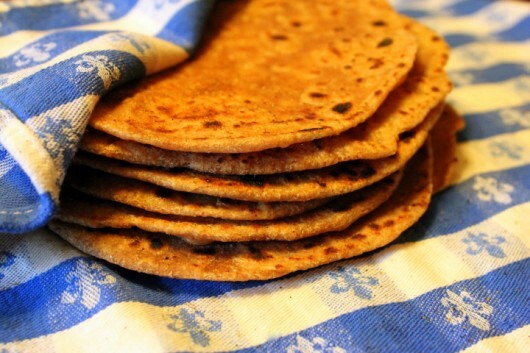 Serve lauki paratha hot with chutney/pickle, yogurt, curry. Meal below: lauki paratha with pumpkin mangodi curry. Notes: Check other paratha recipes that follow a similar knead-into-dough pattern: beetroot paratha, cabbage paratha, spinach paratha. If you’d rather go the stuffed way, try sattu paratha, onion tomato paratha, minced soya paratha. Hi Jamil, The major difference with this roti is that it is smaller in size and is not a flaky roti like paratha. I would say it”s even similar to a tortilla when you pull it apart after cooking. It”s thin and light. So although the ingredients are the same the final result is very different because there is no rolling to create air pockets/flakes. Hope this helps :). Hi Jamil,The major difference with this roti is that it is smaller in size and is not a flaky roti like paratha. I would say it”s even similar to a tortilla when you pull it apart after cooking. It”s thin and light. So although the ingredients are the same the final result is very different because there is no rolling to create air pockets/flakes. Hope this helps :).